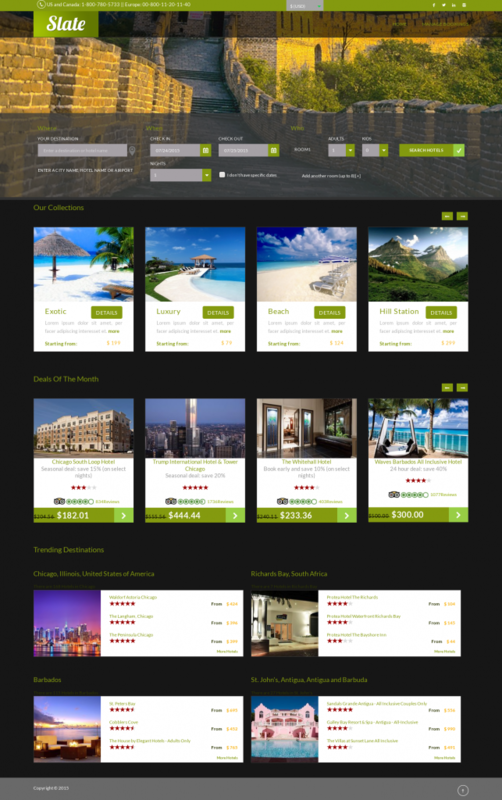 This modern web design is a bold ‘travel website design’ . 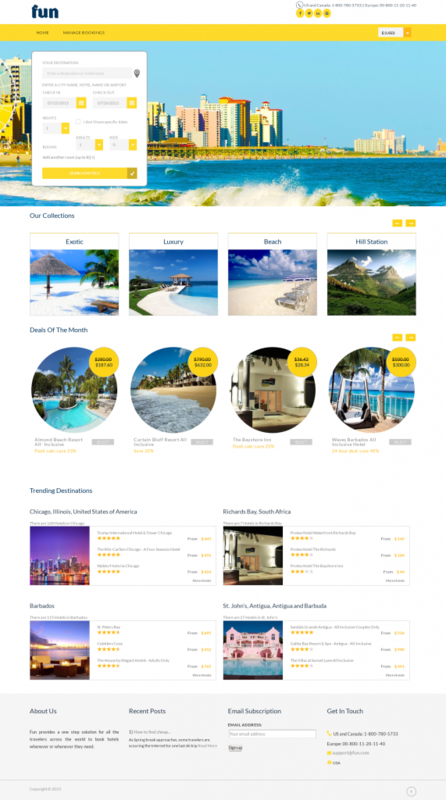 With an integrated EAN (Expedia Affiliate Network) API, this site can help you go to market and start making money. 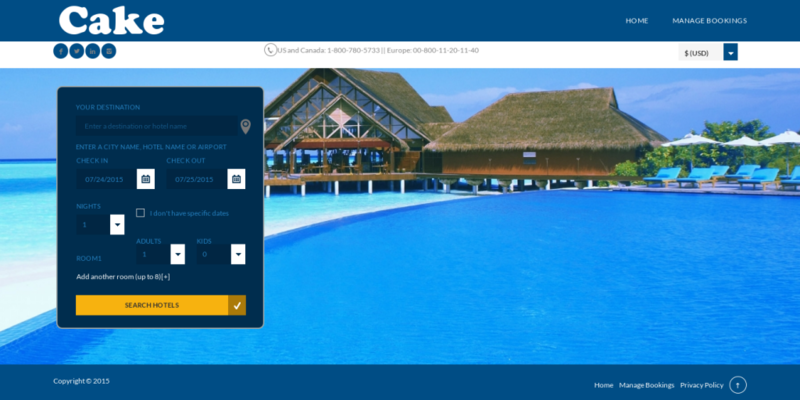 A powerful search widget that can search from nearly three hundred and fifty thousand hotels neatly fits between the header image and the hotel deals. 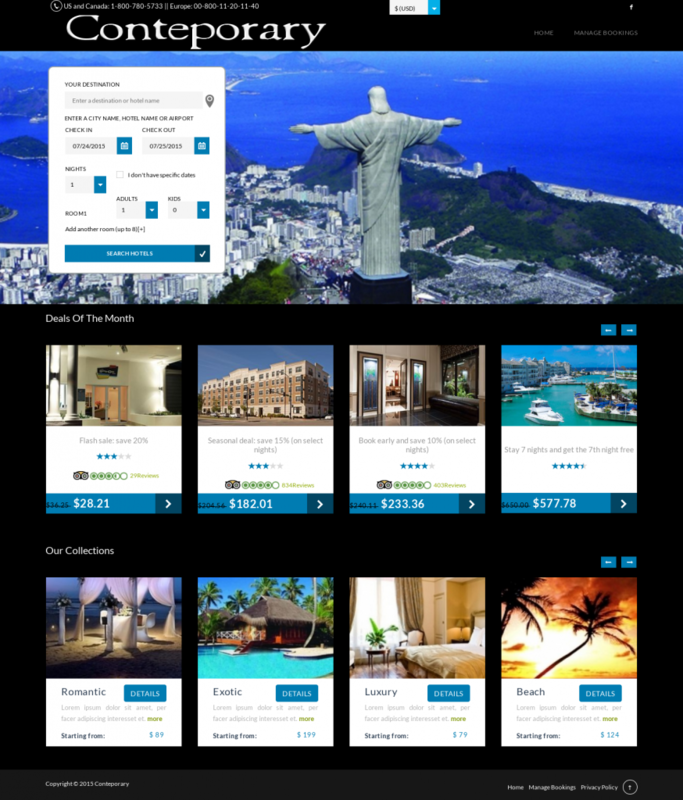 It is ideal for travel affiliates and travel companies that have a niche on certain cities and can give the user some cool hotel deals. 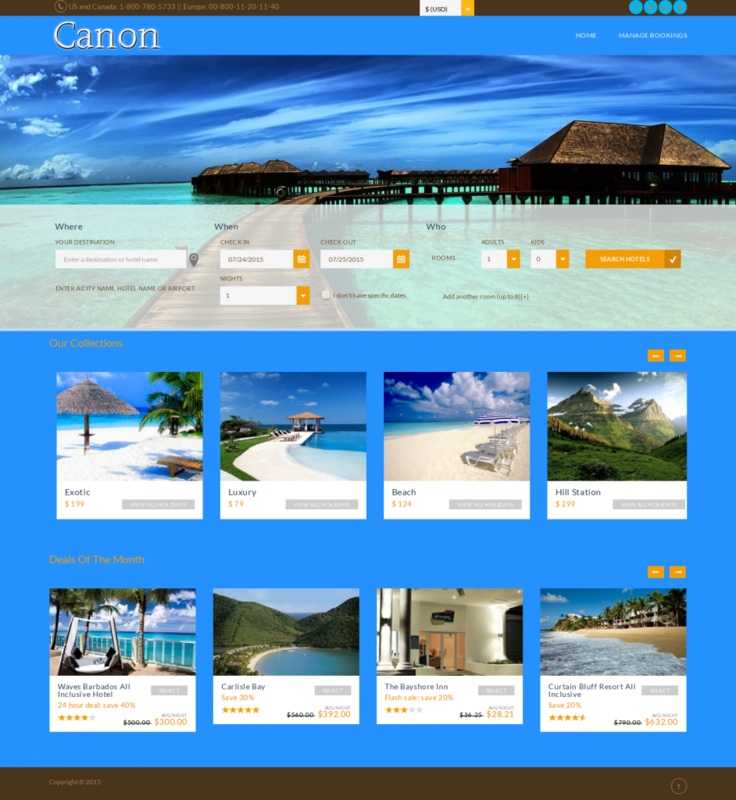 The backend of the travel website design allows adding of deals and promoting them to the home page. It picks up the images of the hotels from the image database including the deal information. Once the deal has expired, it automatically removes it from the home page. 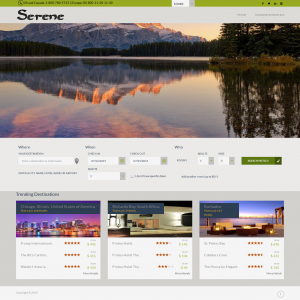 The contemporary look of the site is easy on the eyes and the ‘call to action’ is easily visible.